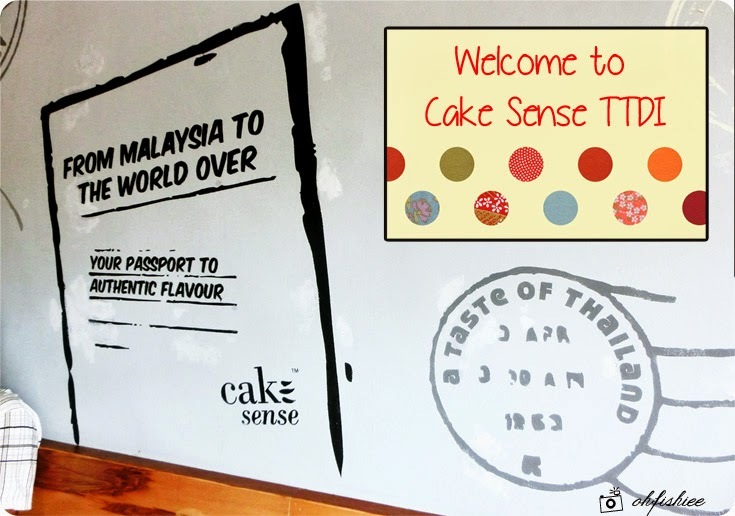 Speaking of Cake Sense, it reminds me of my memorable birthday few years ago with its best-selling Mango Yoghurt Mousse Cake. 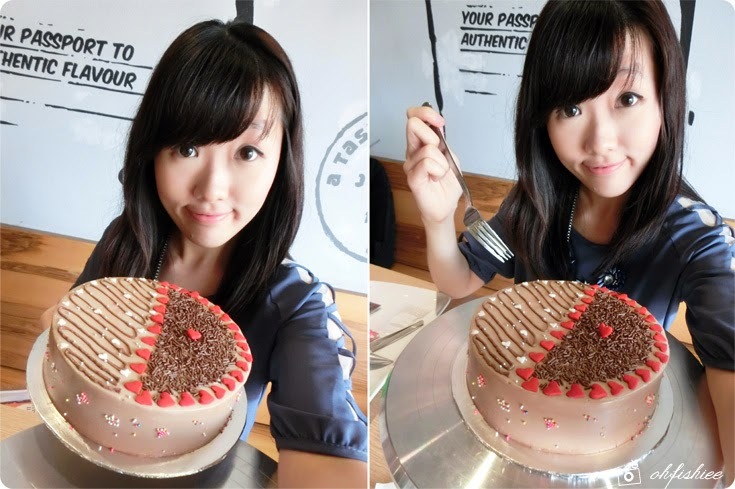 In fact, I am a huge fan of their desserts such as oreo cheese cake and New York red velvet. If you're a cocoa lover, you'll die for their rich chocolate cake too. 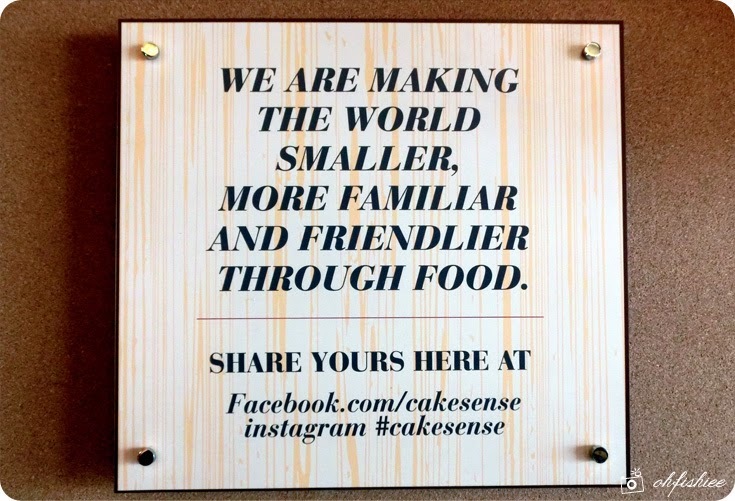 Established in December 2005, Cake Sense has been my family and friends' favorite since they opened an outlet near my house. 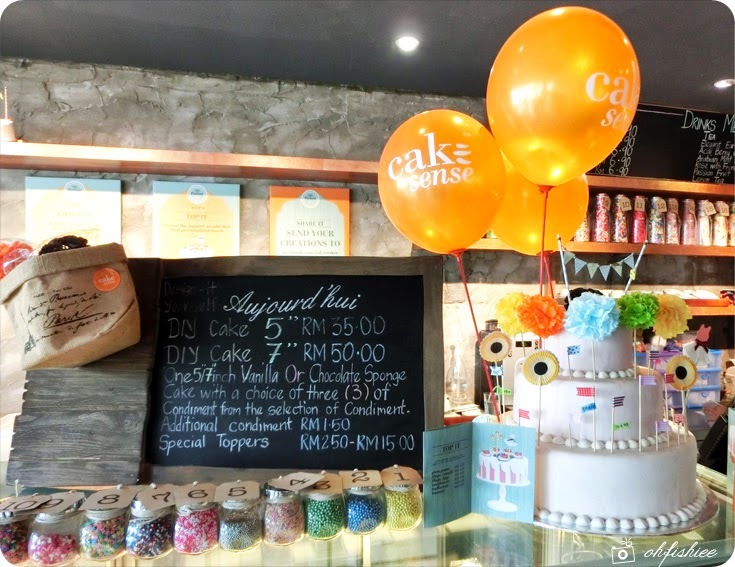 Today, the business has expanded into over 12 outlets around Klang Valley, all conveniently located within shopping malls and neighbourhood. 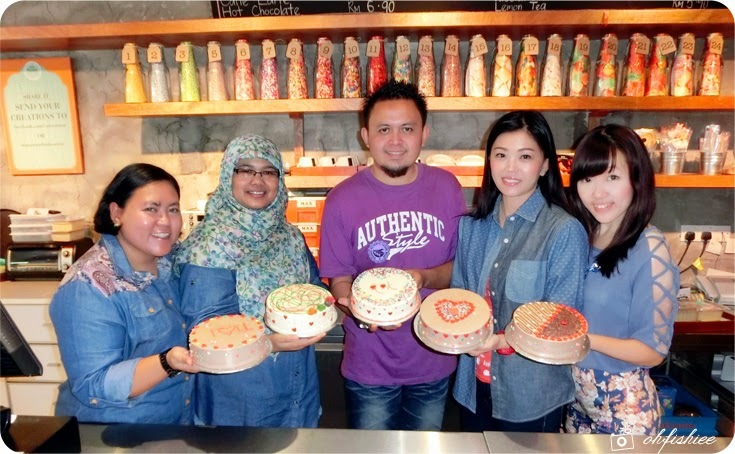 to decorate and personalize their own cakes at the Taman Tun Dr Ismail outlet. Feeling that the conventional cakes are too boring? 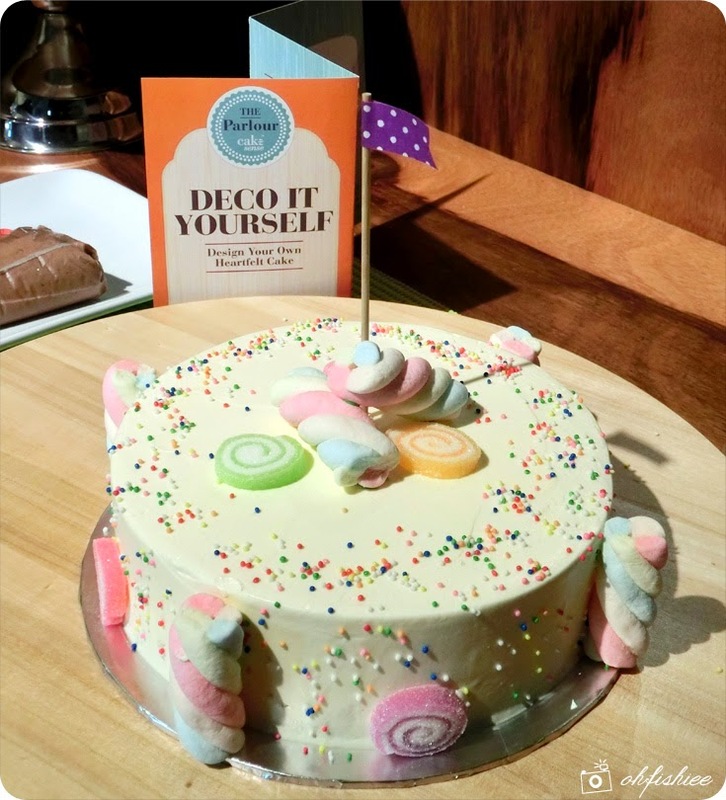 Now you can create the cake of your dreams! Given a plain cake, you can top it with your favourite decorations and write your personalized message on the cake. 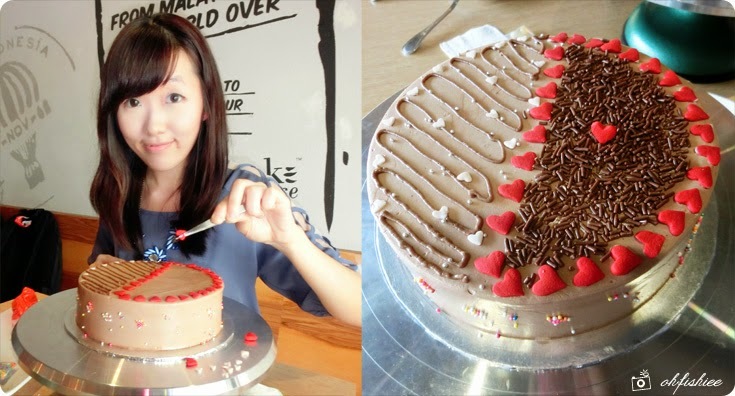 In short, just DIY your very own birthday, seasonal and specialty cakes. It's time to unleash your creativity and show your love! 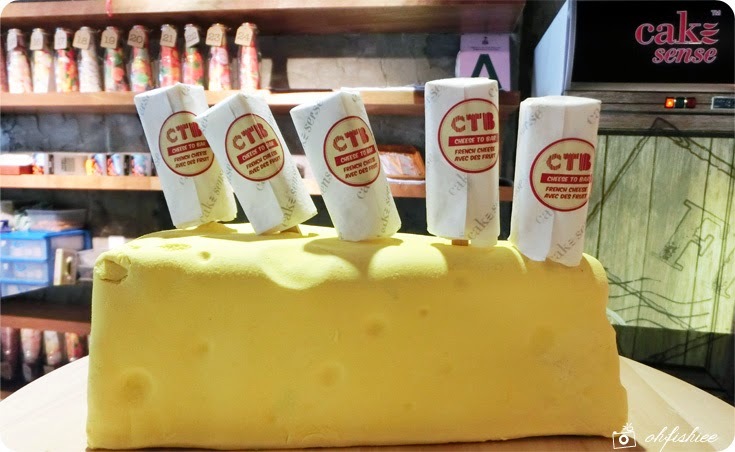 The cake comes in two sizes: 5" at RM35, and 7" at RM50, each inclusive of a choice of three (3) types of condiments / toppings. 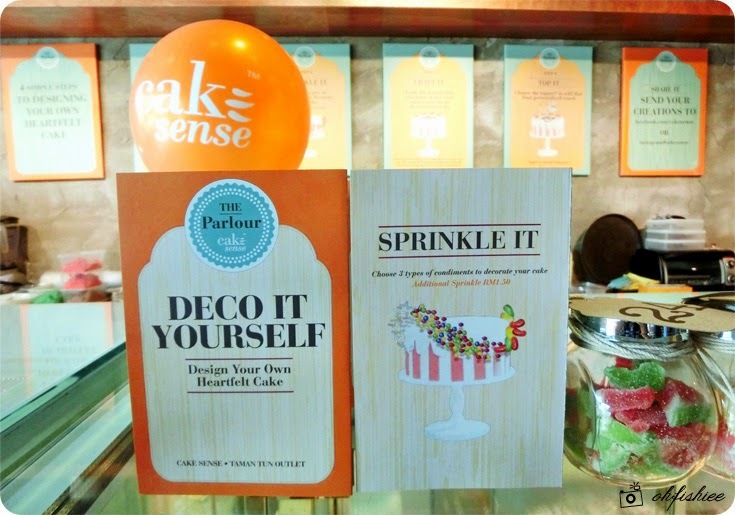 If you want your cake to be more fancy, each additional type of condiment will cost RM1.50. For special toppers, it ranges from RM2.50 to RM15 depending on the size and type. 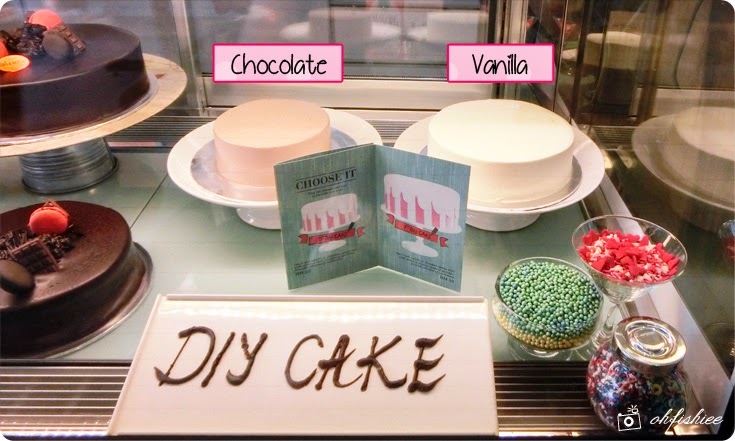 4 simple steps to design your own cake: Choose, Sprinkle, Craft and Top It! 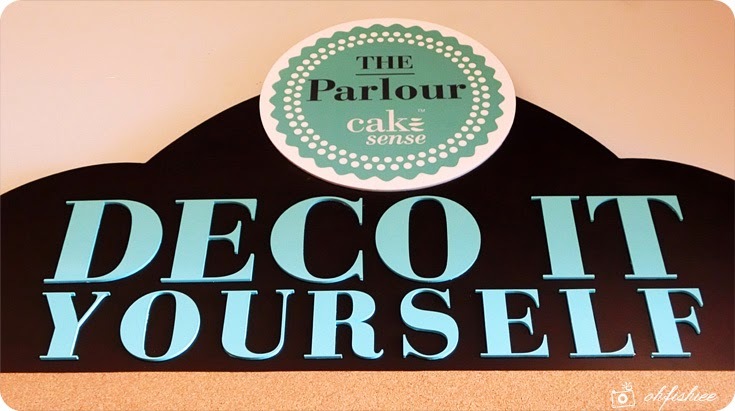 Step 1: Choose Your Cake: Chocolate or Vanilla Sponge flavours at the size of 5" or 7"
The bottles lining up along the shelf are the condiments available at Cake Sense. From the selection of 24 types, I'm sure you'd find your favourite there! The condiments come in various colours, shapes, and sizes. Love the colorful beads, chocolate rice and jelly beans! 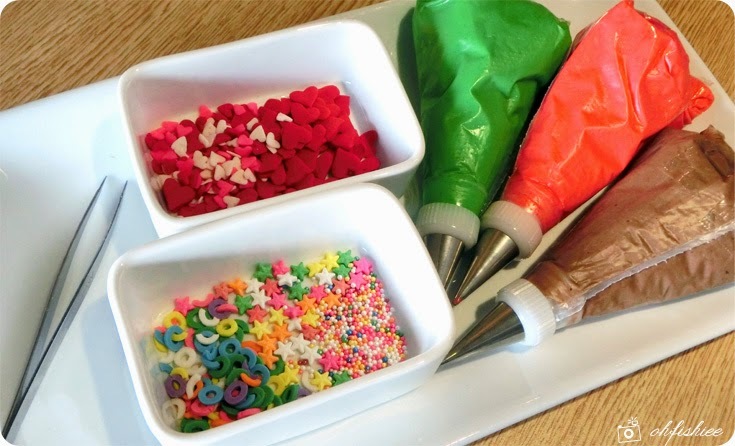 Step 3: Craft It: You'll be given 3 colours of cream to draw / write onto the cake. Step 4: Top It: Add on the special toppers (Flowers and flags) for a prettier party look! marshmallows and colorful beads, the cake looks so dreamy and adorable right? 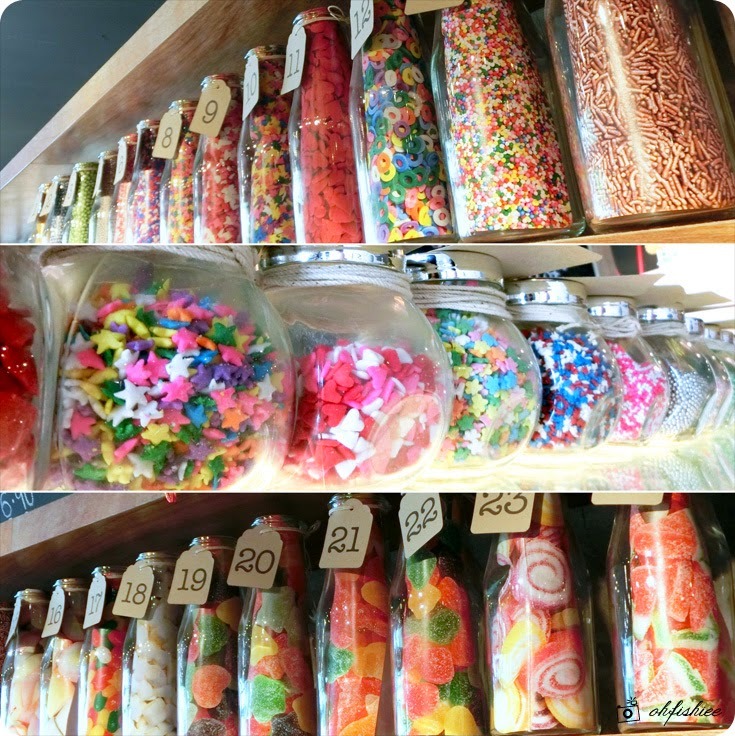 Here are some of the condiments we pick to decorate 6 whole cakes! Just some tips to share with you guys. 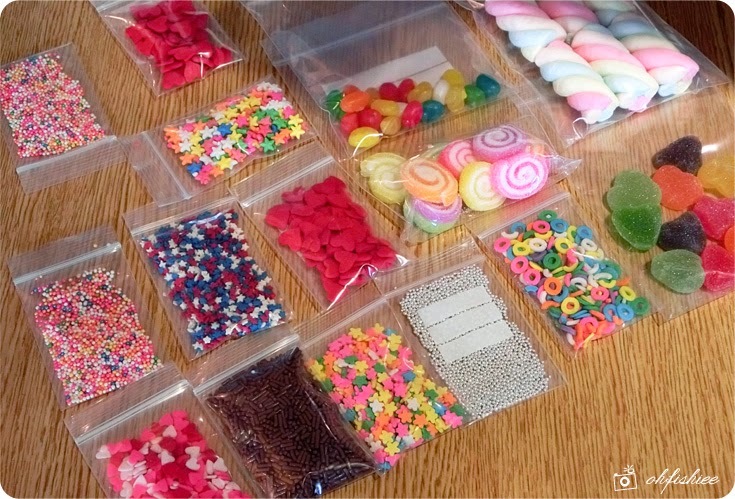 Always begin with the side, where I choose to wrap my cake with colorful beads. Moving on to the topping, you can sprinkle the condiments and pipe the coloured (and edible!) buttercream icing to draw onto the cake. Tadaa! Presenting to you my masterpiece of hearts and chocolates. Yummy! Do you want to try the moist chocolate sponge layered with light chocolate cream? 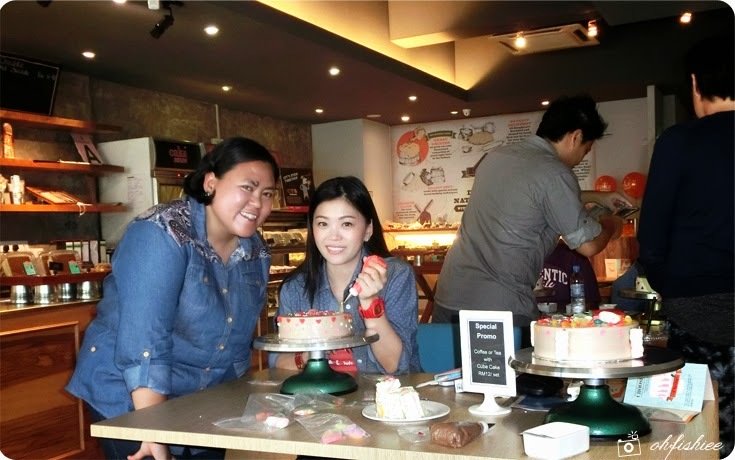 I had fun decorating the cakes with the fellow bloggers! The satisfaction of designing a cake specially for your loved ones is indescribable :) And I'm surprised that the process of decorating was pretty quick. For a good 15 minutes, I believe you'd be able to decorate it beautifully. Premade designs are also available in the house. 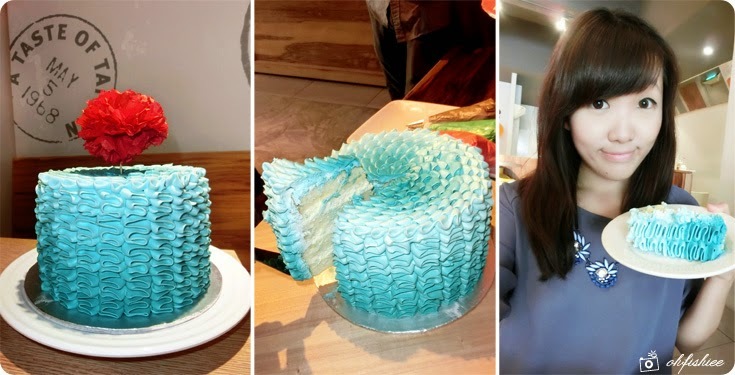 Look at the Lemon Sky Ruffle (RM80) done by the pastry chef at Cake Sense! The beautiful ruffled icing design is so detailed and I love its soft vanilla sponge cake layered with thick lemon chantily cream. 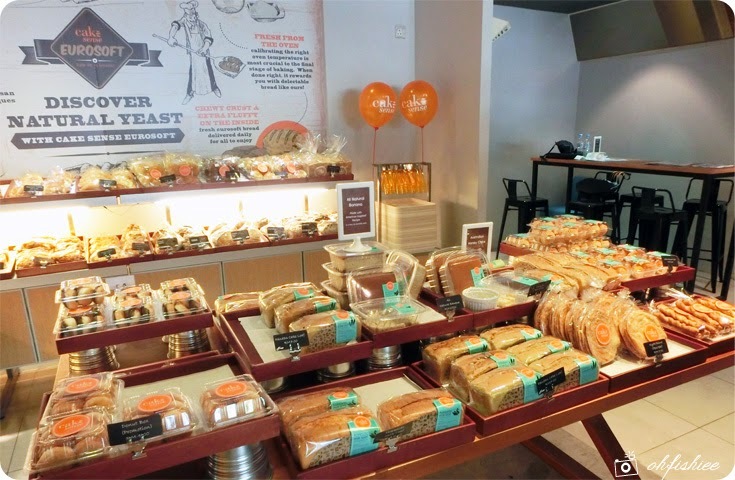 Cake Sense offers a wide variety of bread loaves, buns, cakes and pastries. 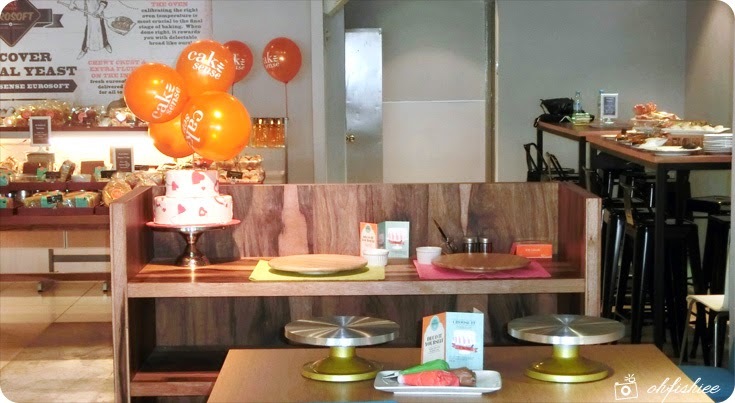 While waiting for your family or friend to decorate the cake, you may want to check this out! Kids will love it !! 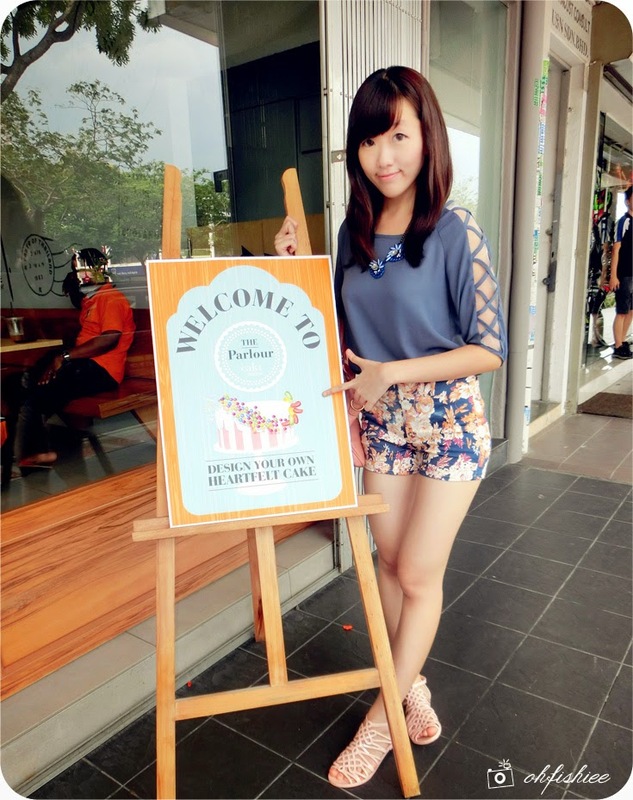 This cafe looks interesting, sure a clever tactic to attract customers! OMG!! Only available at TTDI outlet? Like the messengers that are already belonging to your phone snapchat online login your iPhone or Android, surfing the internet, chatting with good friends.